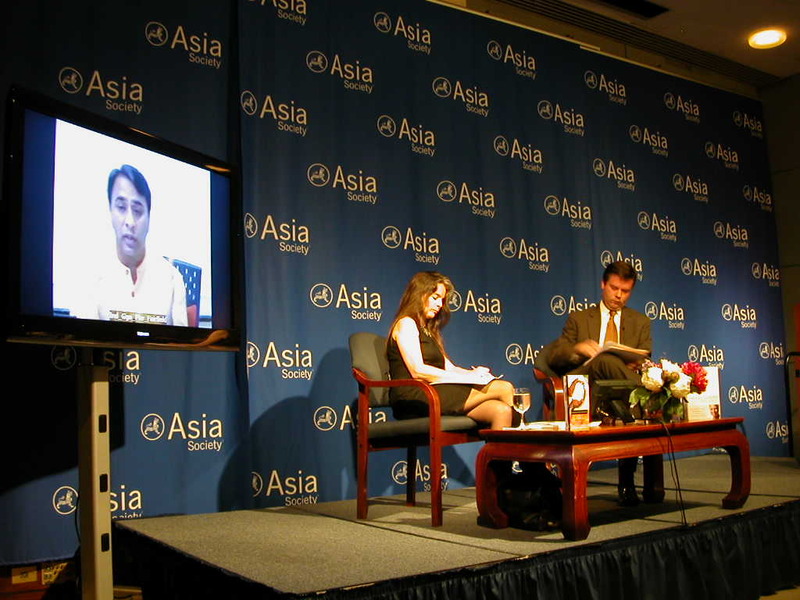 Alex Counts, president, CEO and founder of Grameen Foundation, recently faced Vikram Akula, chair and founder of SKS, the largest microfinance institution (MFI) in India, in an Oxford-style debate at the Asia Society in New York City. SKS went public this summer in a hugely successful IPO (becoming only the third MFI to do so), but – like other for-profit MFIs in the area – has recently been caught up in controversy surrounding allegedly questionable lending and collection practices in the south of the subcontinent, most notably in Andhra Pradesh. The two discussed whether or not SKS’s for-profit approach to microfinance represents an ideal model for the poor worldwide. Whatever your point of view on this question (you can see the debate in its entirety on the Asia Society website), attendees uniformly agreed that the debate was respectful and substantive, delving into issues that will affect the field of microfinance for years to come. Alex discusses his impressions of the debate below. Preparing to debate Vikram Akula on whether SKS’s strategy represents an “ideal” approach for the world’s poor was quite something! I read reams of reports on SKS, its founder, and the many achievements of – and worrying developments in – the Indian microfinance sector. Certainly I came across a lot of overheated rhetoric, and I wanted to bring a rational approach and respectful demeanor to the encounter. I also wanted to reflect the seriousness of what was at stake. It is hardly an exaggeration to say that the forces unleashed by SKS’s growth, profits, and IPO have put the Indian microfinance sector, and the tens of millions of poor who are benefiting as well as those who could in the future, on the brink of unprecedented achievements – and, paradoxically, on the verge of collapse. All my reading and thinking did not prepare me for learning, less than 12 hours before we were to “face off” at the Asia Society, that Vikram was … in India! He said he would try to participate by video conference, and surprisingly, having him participate remotely worked reasonably well. Still, I was nervous enough to open my rebuttal to his compelling opening statement with a mistaken reference to the host organization as the “Asia Foundation.” Oops! Once the debate got rolling, the give-and-take in terms of ideas, principles and facts was energizing – for the two of us, for the moderator, and for the crowd in the room (and, hopefully, those tuning in via the Internet as well). Early on I learned something – that SKS had undergone an external impact study that I was not familiar with. During the reception afterwards, someone mentioned that this was done in 2001. If true – I have asked Vikram to send me the study – it suggests that it may not be that relevant to SKS’s success these days, but it is worth looking at nonetheless. I felt that my strongest points were about the importance of ensuring that MFIs commit to a “social bottom line,” and that they demonstrate their social performance through validation by external tools, such as the Progress out of Poverty Index. I also emphasized placing what I termed “reasonable limits” on private benefit for those non-poor people who were involved in MFIs like SKS (mainly staff and investors), and how this opened up political space for microfinance. I thought Vikram made many strong points as well. I was heartened to learn during the reception after the debate that several people were “won over” by my arguments (probably some were by Vikram as well). I found it helpful to reference the strategies and decisions of the Grameen Bank when describing an alternative to SKS’s approach. The video of the debate is apparently circulating widely on the Internet – it might be an exaggeration to say that it has “gone viral” but I am definitely getting a lot of feedback. We are considering making a transcript and also proposing a rematch, maybe in India. Stay tuned! This entry was posted on October 28, 2010 at 7:50 pm and is filed under Business, microfinance, Social Business, Social Performance, Uncategorized. You can follow any responses to this entry through the RSS 2.0 feed. You can leave a response, or trackback from your own site. The crisis that the microfinance is currently facing in India is complex and complicated. Its arrival is not a surprise. The large-sized and widely-spread microfinance institutions (MFIs) and their leadership, with their insensitivity towards the poor, have been inviting the crisis. It may take a couple of months before one makes an assessment of the impact this crisis will have on the microfinance activity in India. However, we should not forget that most of the money taken from MFI’s is spent on dowry and purchasing home items. The borrowers need to be guided to invest in small businesses that are less risky, and spending on dowry etc should not be done. I have same question above.I am still looking.